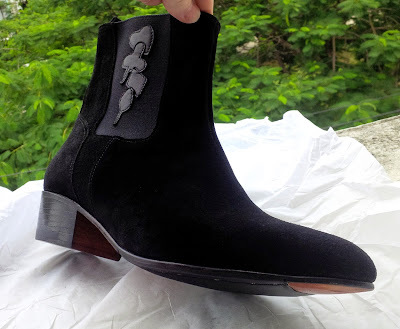 Designer Cuban Heel Boots, custom made to your own taste. 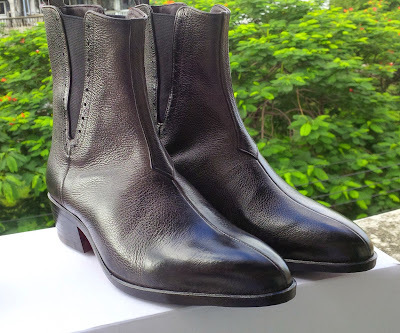 Cuban heel boots for men first made their appearance in the 1960s. Also known as the Beatle Boots, which were made famous by John Lennon and Paul McCartney when they purchased Chelsea Boots with requested Cuban Heels for their legendary band “The Beatles”. These boots are a tight fit ankle-high boots, sporting Cuban heels, with a pointed toe. Dependent on the style, they can come with zipped or elastic sides. Men’s height increasing shoes were back in demand thanks to the English Rock Group “The Beatles”. Today we see a wide array of Cuban heeled boots for men starting to come back. 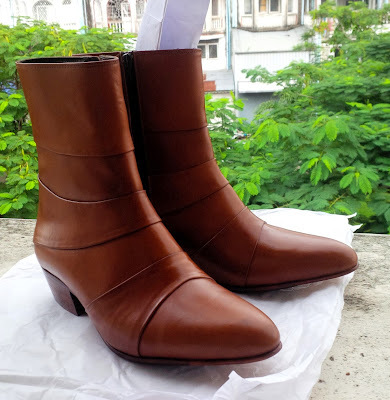 As vintage clothing continues to sell in record numbers many people are trying to revitalize the look of these heeled boots and bring them back into fashion once again. With the popularity of skinny jeans there is no finer accessory for men that a pair of Cuban heeled boots. These boots really maximize height and can increase the length of a man's legs. They look great with tight jeans and they are the perfect fashion accessory forgetting that vintage look that so many people seem to crave. Wearing the boots can take a bit of adjustment especially if you have never worn a shoe with a heel before. Probably the most comparable type of shoe for these Cuban heeled boots is something of a cowboy boot. If you can get used to wearing cowboy boots or have worn them before, a Cuban heeled shoe is a great transition. As with our elevator shoes, all Cuban heel boots are made to order based on your requirements. Choose the color, material, sole, size and the height of the increase desired. Don’s Footwear Cuban range is stylish, comfortable, durable and inexpensive to acquire. Just like a regular shoe, the build-up of the height increase is at the heel, and not an insole insert, increasing your stature and your presence.